Tristan Hunt replied to the discussion Calling all Aussies! 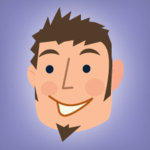 "Hi Dave, I am based in Melbourne using Storyline as part of my role and studio previously... Interested in connecting with other users to..."
Tristan Hunt replied to the discussion Free template, what inspires me. "That is very cool thanks!" "@Paul - I really like this idea... Will it still function properly once the buttons are enabled?" "Nicholas Ostheimer said: A warm welcome to the E-Learning Heroes Community Tristan, I'll have a look at well if there are any examples ..."
"Does anyone have any examples of e-learning designed around coaching for sports? I have been searching but haven't come across anything ..."